What can you do with this application? 1. Customize Shape: you can make your own coloring pages or use external coloring pages. 2. Customize Frame: you can make your own photo frame or use external photo frame. 3. Customize Brush: you can make your own brush or use external brush. 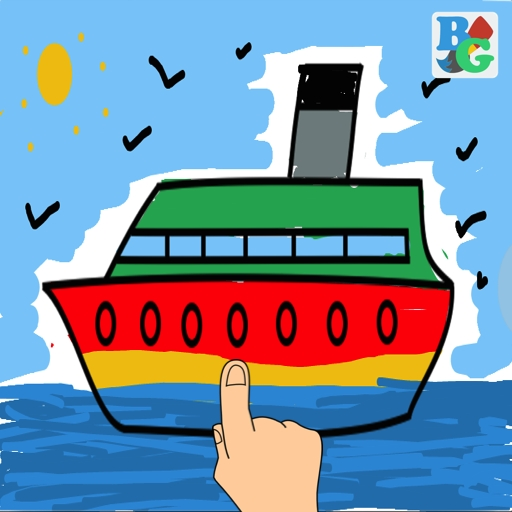 This application is for to drawing or coloring like a drawing book / coloring pages. We provide many kind of coloring pages too. such as: upper case, lower case, number, hijaiyah letter, hijaiyah number, transportation, animal, and etc. If your child likes to just doing sketches in papers or you are often buy drawing book then this application is suitable for your child. With this application you don’t have to frequently buy your child a drawing book and waste papers. Lets use paper as needed and use this digital drawing book. Save the trees, use less paper. - New File/Shape Icon is used to choose the coloring pages and start a new canvas or to remove all sketch on the canvas. - Pencil Icon is used to draw / coloring mode. - Eraser Icon is used to erase the sketch. - Color Icon is used to choose color for drawing / coloring. - Circle Icon is used to choose size of the brush. - Left Arrow Icon is used to undo the sketch. - Right Arrow Icon is used to redo the sketch after undo. - Camera Icon is used to save the sketch to photo gallery. - Question Mark Icon is used to show the user manual.